Miles and his wife, Jennifer, have been a part of CrossRoads from the very beginning. Miles was a part of the discussions that took place that merged Old Union and Northland to form CrossRoads Christian Church. He has held the position of Worship Minister and Preaching Minister throughout his time at the church. ​He has the blessing of his daughter and her family worshipping at CrossRoads along side him, which includes his son-in-law and three grandsons. ​Brian is a local boy who grew up in a small town not too far away. After returning to the area and getting married, Brian and his wife, Aubrey, decided to start attending Old Union and became involved. As CrossRoads, Brian became one of the key volunteers for Student Ministries and really felt God calling him to go into ministry full-time. 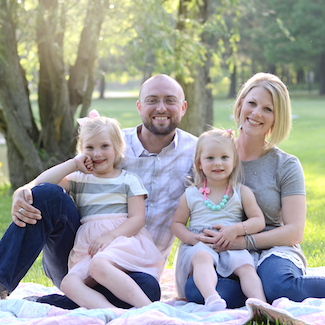 In 2008, Brian accepted the invitation to come on staff, and he has not only seen his ministry grow over that time, but has seen his own family grow as well. He is the proud dad to his family of five children. Robbie and his wife, Megan, have been a part of CrossRoads since September of 2010. Originally hired as the Associate Pastor, Robbie's role here has continued to morph into the Administrative Pastor role. He oversees our Road Groups Ministry, while also leading in other areas, such as: worship, tech and day-to-day operations. Robbie and Megan have two children, Ava and Ella, who love coming to CrossRoads, learning about Jesus and spending time with their friends. Kathy is another one of our staff who was involved before being hired. She has always had a heart for kids, but also had an outside job. When she heard that we were in need of a Children's Director, she was excited about the opportunity, and full of ideas to enhance our children's experience. She has implemented a lot of those ideas, while continuing to build her wish list for the future. The majority of the time, you can find Kathy in our KidZone, but she loves the opportunity to worship with her husband, Tim, as well. Rebecca is the newest edition to the CrossRoads Staff. 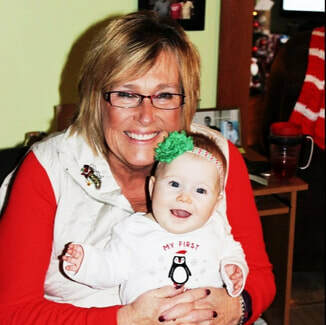 Coming on staff in November of 2016, she is the one that holds the office together. If you call us, she will probably be the one that answers the phone, and she is always working on creating the next promotional poster, postcard or letter for the church. 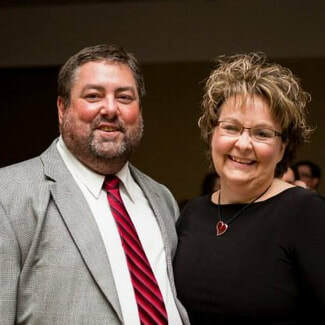 Rebecca's husband, Chuck, was already a member at Old Union before the two churches came together, but Rebecca has been worshipping at CrossRoads since they got married in 2008. They have a son, who they love to laugh with and lead in his walk with Jesus. These are the men who are the spiritual leaders at CrossRoads with their families. Without a doubt, at one point in time, our motivation to work revolved around the merger of two congregations and finishing the remodel of a new building. But now we are looking to the future. We are continually looking for God's plan as we move forward as His Church. We want to reach people with The Gospel message - Jesus Christ, God's son, came to the earth, lived a sinless life and died as the final sacrifice for the sins of the world. He rose from the grave three days later, and we are here to continue telling the world of God's love that sent Jesus for the purpose of reconciling our relationship with the God of the Universe. "And they did not do as we expected, but gave themselves first to the Lord and then to us in keeping with God's will." "Rejoice always, pray without ceasing..."
The Ministry Teams of the church are what guide and carry-out ministry at CrossRoads. We do our best to make sure all CrossRoads events and ministries taking place fall under the leadership and guidance of a Ministry Team in order to have oversight, accountability and direction. Each team contains an Elder or Staff Member and members of the congregation.